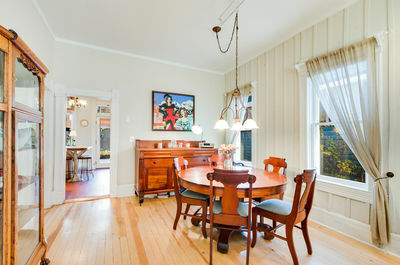 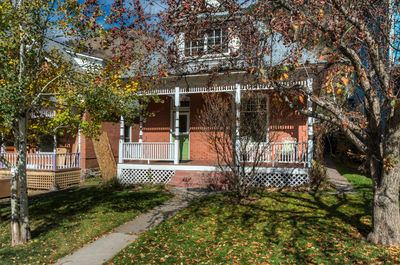 This wonderfully charming, romantic, 2 bedroom, 2 bath brick Victorian home is a real find! 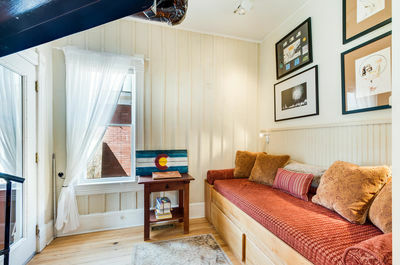 Built in 1902 and lovingly restored to its current splendor, it's prestigious location on Main Street (Colorado Avenue) is steps from all shops, restaurants, the Coonskin Lift, the Gondola, Chair Lift 8 and every other Telluride attraction. 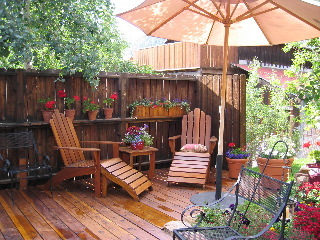 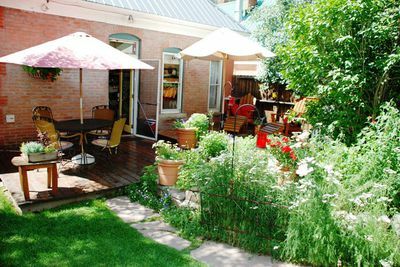 It is the perfect lodging accommodation for those who appreciate a quiet yet convenient in-town vacation home with a truly Telluride feel. 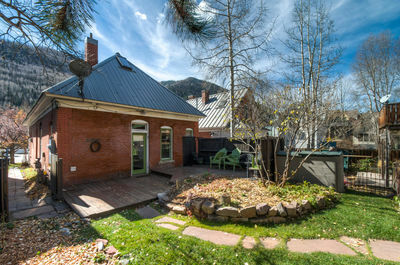 This precious 2 story sleeps four comfortably, has breathtaking circular views of the ski mountain, Bear Creek and Box Canyon! 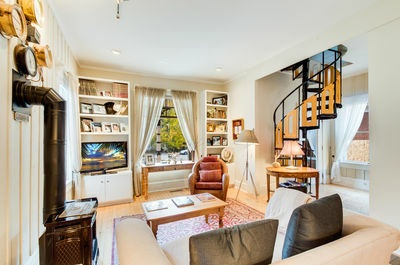 Bathed in sun, you'll enjoy these vistas from your own private garden and courtyard. 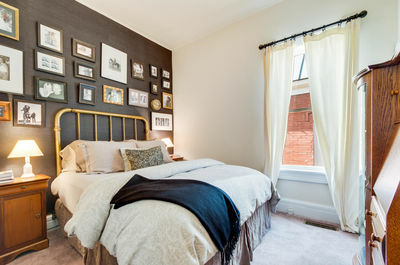 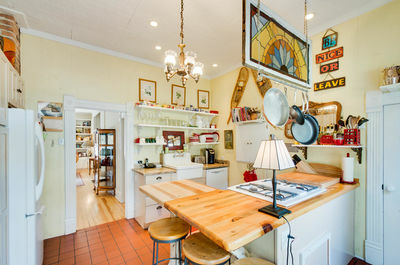 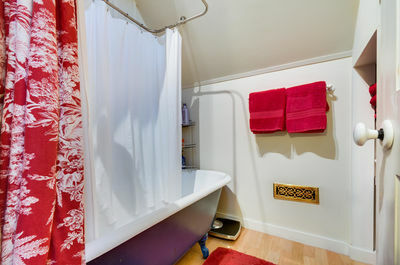 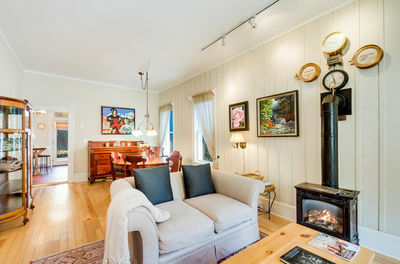 The main level features a fully equipped Victorian style kitchen, a bedroom and a full bath. 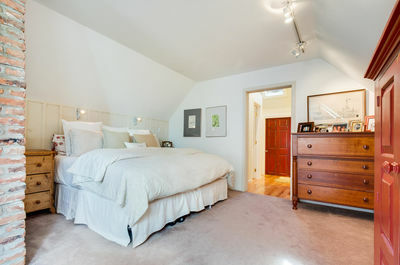 Upstairs is a king bedded master and bath with living area. 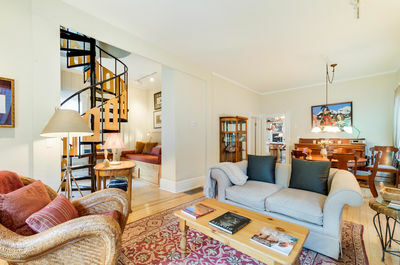 This luxury accommodation is incredibly well priced and is truly an accommodation for all seasons. 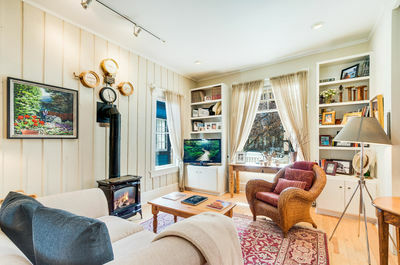 Once you discover the romantic charm of this elegant Victorian home, you'll never want to leave!